A mother and father have been arrested after their four-year-old boy brought a loaded gun to his nursery school. Police were called in to Amite Elementary School in Amite City, Louisiana, after he showed the pistol to his classmate. US officers believe the child got hold of the weapon while he was on his way to school after it was left unattended in his mother’s car. Amite Police Chief Jerry Trabona told Fox News: “I’m assuming she had it laying on the seat and he just reached down there, got it and put it in his book sack. The boy’s parents, Kenji Steptow, 36, and 30-year-old Kenisha Steptow, have been charged with child desertion. Chief Trabona said the charge was the toughest the law would allow. He added: “If the baby would have been thinking it’s a play gun and shot somebody with it, you don’t know where that bullet is going. Some parents at the school said they were shocked when the news leaked out. Police said the gun is registered. The youngster, who has not been named, has been released into the custody of a family member, Chief Trabona said. 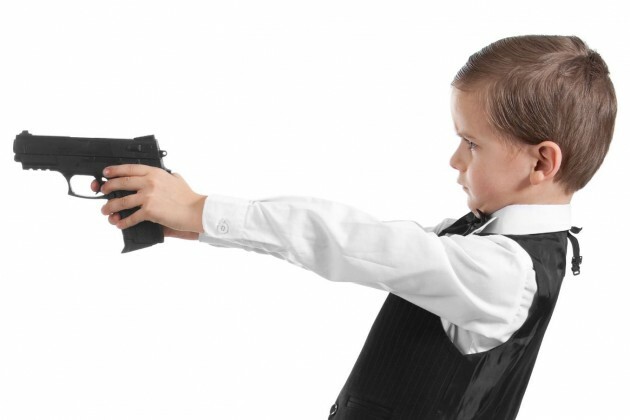 He said it was most likely the child thought the gun was a toy.